At present, the development of electronic cigarettes has taken a huge step forward, and now need to further improve the public acceptance. Compared with traditional cigarettes,the more popular electronic cigarettes in Europe and America are less harmful to health than traditional cigarettes,according to an independent expert report released by the England Public Health Bureau on 95%. The new report is the England Public Health Bureau commissioned the University of London Kings College Marie and Queen's. 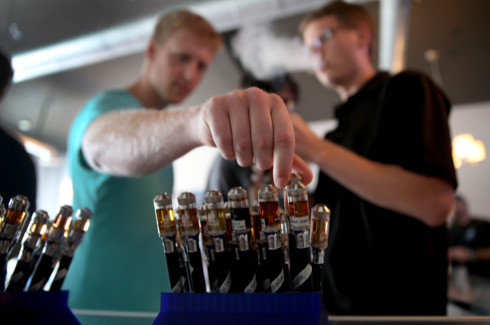 University and other institutions to carry out joint independent investigation.The assessment report points out that electronic cigarettes are not only much less harmful to health than traditional cigarettes, but more and more evidence shows that smokers who smoke electronic cigarettes have a higher success rate of quitting smoking than those who have consistently smoked cigarettes. Report shows that at present there are about 2 million 600 thousand UK adults smoking electronic cigarette, which a lot of people to give up smoking, there are also some people to stop smoking traditional cigarettes. However, the survey also found that 44.8% of Britons do not understand that electronic cigarettes are much less harmful to health than cigarettes. Although electronic cigarettes still need to continue to spread, but I believe that with the progress of technology,the current diffculties and problems encountered by e-cigarettes will be gradually solved.